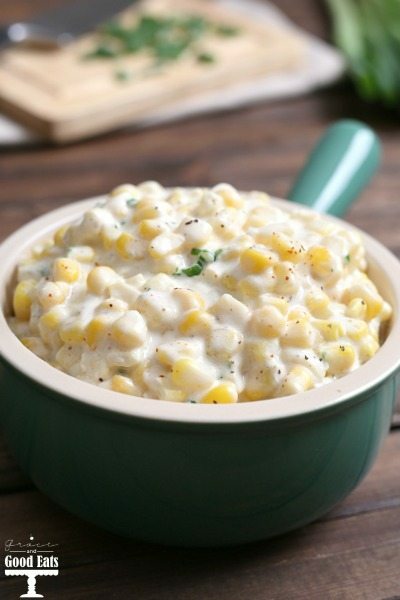 This creamed corn side dish is the perfect balance of sweetness and spice. Creamy, buttery, super sweet corn is a delicious addition to your holiday table or Sunday supper. Don’t skimp on the fat, just embrace this indulgent treat for what it is! Remember when I told you that I have somehow managed to double (almost triple…) my grocery budget since moving to a tiny town with only a single convenience style grocery store? I’ve finally figured out my problem: online shopping + grocery delivery services. Amazon Pantry, Google Express, and my latest discovery: SCHWAN’S. Though not a new service, they are new to me. I have to admit, until I made this homemade Creamed Corn for myself, I wasn’t really a big fan of this dish. Maybe that’s because I remember the canned version of cream-style corn from my childhood. 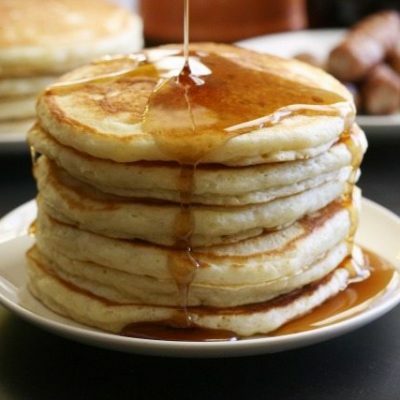 Trust me the homemade version with cream cheese and real butter is infinitely better! When cooked on the stovetop, the milk (or cream) that the corn cooks in slowly reduces down into the signature thick and creamy sauce. 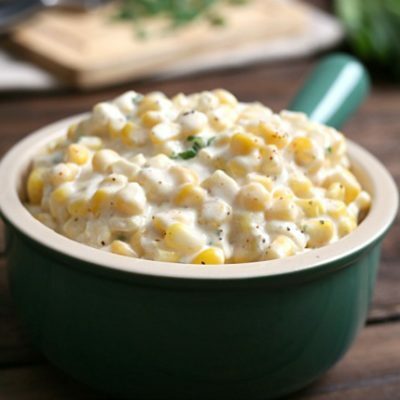 The addition of cream cheese in this creamed corn recipe helps to thicken the sauce quicker. 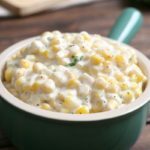 Cream cheese is a common addition when making creamed corn in the slow cooker because it helps to thicken the sauce in the closed environment (read: no evaporation). I also love the flavor that it adds! Creamed Corn can be made with frozen, fresh, or canned corn. I have only tried this recipe with frozen. You can substitute with 2% milk if that’s all you have, I haven’t personally tried this, and it may not be as creamy but with the cream cheese the difference may be negligible. 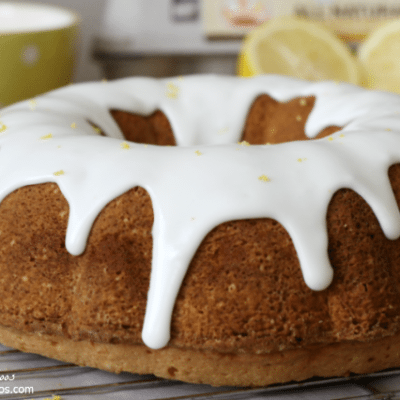 I recommend using full fat cream cheese, whole milk, and real butter for best results! Cube the cream cheese and butter, add to a medium size sauce pan over medium high heat. Add the milk and stir continuously until the mixture is smooth. Reduce heat to medium and add the sugar, spices, and corn. Continue stirring until the corn is heated through, about five minutes. I like some heat with this so I use a heaping 1/4 teaspoon of cayenne. Also, be sure to stir this continuously, you do not want the milk mixture to scald or burn on the bottom. If it starts to boil, adjust your temperature down quickly. 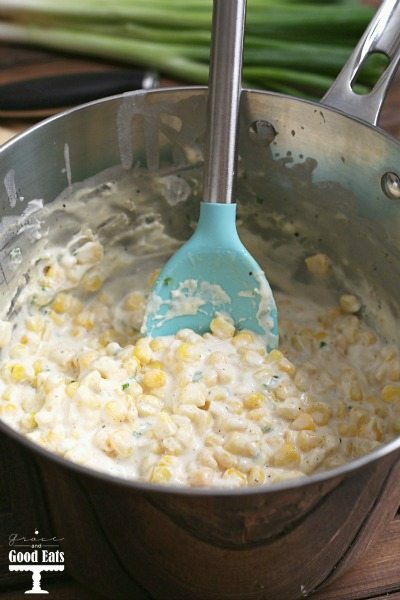 This is the best creamed corn ever! I love to add diced jalapeños also. I’ve been making this for over 40 years! Mine is a family recipe that uses 1/2 and 1/2 and skips the sugar. Everyone loves this & asks for it if I’m bringing a dish! 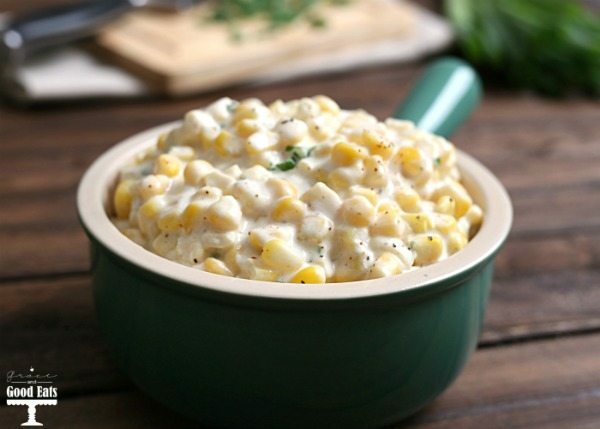 We LOVE creamed corn but make ours a bit different. Can’t wait to try this way though, as it seems so easy and delicious! Your creamed corn recipe was absolutely delicious! I’ve never liked creamed corn. I use a can in my corn casserole (pudding) recipe but really wanted to keep it organic. Couldn’t find organic creamed corn, so I found your recipe. I halved it and everything turned out perfectly! That half recipe, using only 1 can of corn drained was the same as 1 can of creamed corn. So I didn’t have to change anything else from my recipe! The casserole tasted the best I’ve ever made. The family loved it! Thank you so much! So glad it worked out for you, Evelyn! Now I’m dying to make corn casserole- yum!! I love corn but hate canned creamed corn so I made this to use as a component in corn pudding. I lost track of my mind and got whipping cream and although I have whole milk, I won’t use the cream in anything else so I used it here, then used the immersion blender. OMG this is good. It is a bit thick and I’m wondering if it will impact the pudding so I’m considering just skipping the pudding and going with this. It is seriously marvelous. Thank you! So glad you enjoyed it, Barb! Have you ever tried to double this recipe? If so, have you had any issues? 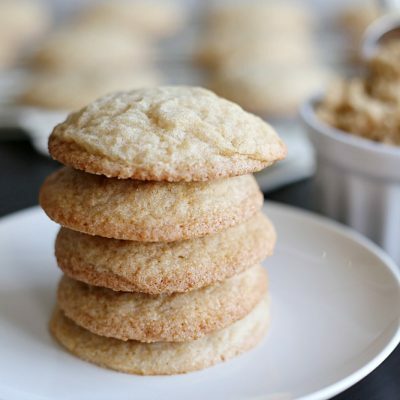 I want to make a large batch for Thanksgiving! I have not doubled it, but it should work just fine. Hope you enjoy! I wanted to make this for thanksgiving but wondered if you had ever made it ahead of time? Should I reheat on the stove or in the oven? Thanks in advance! Excited to make it, looks delicious! Hi Megan- I have not made this ahead of time. I would reheat it on the stove, stirring frequently so it doesn’t scorch. I’m afraid the oven might dry it out? Let me know how it goes! 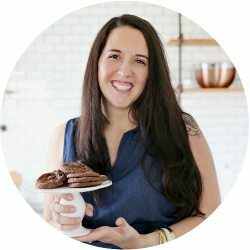 Hello, Grace…I’ll be making this for the first time and love the addition of cream cheese. I have one silly question for you: When using frozen corn, should it be thawed first or just added to the recipe fully frozen? I was wondering the same thing. I am worried if I dont thaw the corn it will cause the mix to be watery. Should I worry about that? I’ve never had that issue. The cream cheese helps to thicken the mixture. Our family loves any of their cod! The cod nuggets are even good and having a picky kid eater this is one way to get him some fish!! And it is all REAL no fillers!! Their concentrated juice is really good and during the holidays they run a special on the ham and it is by far the best I have ever tasted and all the family agrees! We live in a very small town, with one small grocery store that can charge whatever they want because there is no competition, so for the quality of the food the prices are really not bad! And I don’t know if they told you this but if you don’t like something just keep the box and they will credit you for the amount you spent and you can try something else!! You can’t do that at the local grocery store anywhere!! Also order ahead of time online and you save a ton!! Plus once it gets to know what you order a lot of it will give you coupons for these items!! And they will always have what you want on the truck this way!! I have to mention the whole green beans they come in a steaming bag and taste just like from the garden!! Always get a book when they come because they always have great recipe ideas!!! Guess I am a fan because in a small town out in the middle of nowhere you kinda grow up on Schwans!! Forgot to say we tried and loved your recipe!! Thanks for sharing!! I tripled the recipe for our family gathering and everyone loved it! It will definitely become a regular at our holiday gatherings. So glad you enjoyed it, Lisa. Made my day to hear it will be a regular at your holiday gatherings! What do you think about adding cheese on top and baking for a little? I’ve never tried that but it sounds good! Might be more like a corn pudding- yum! We grew up on schwan man food, lol! My grandma would have bought stock in them if she could. My favorite thing was the pork potstickers- so good, so addictive! 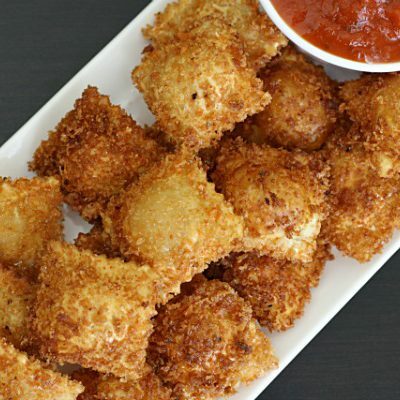 And the chicken nuggets, though that might be because I was 14 the last time I ate them, lol! Love the creamed corn, we make it for thanksgiving ever year now! Turned out like corn water. Very disappointed. Despite following the recipe. Tasted great. I’m glad the corn water tasted great at least? Not sure why it was watery, perhaps your frozen corn could be the reason and impacted the water content. I’ve never had this issue.